My name is Samuel Virga. I live at 3015 Krashey Way in Louisville, Ky. On April 3rd,2015 I was flooded out of my home. The flood was considered a national disaster. 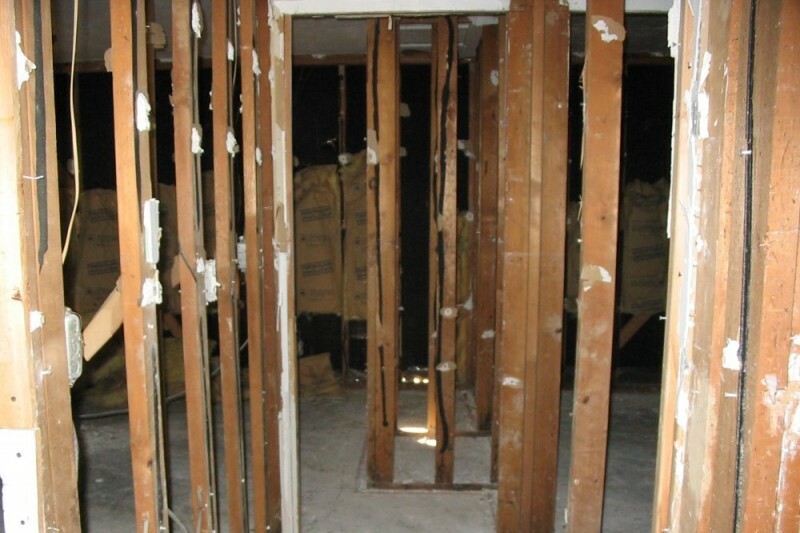 I hired a contractor and he provided all the correct paper work to send to the insurance companies.He told me that it would take about 2 months to repair my home.When I went to get the permits from MSD and the city of Louisville. At that time, they told me that I had a choice to tear down my house or raise it up out of flood zone.So I chose to raise my house.I went to FEMA & ICC to recieve the benefits to raise my home.Recieve the benefits to raise the house. The contractor told me that his crew could raise the house up.I went through the insurance company to get the funds for the contractor.The contractor perpair the house for raising.His crew took the bricks off the house,took the windows out ,patio doors out & gutted the inside the house & no walls left inside the house. .During that time, I gave him half the the money to raise the house and he took the money and left me with a home in disaster.While I sit in hotel room, I found out that his crew went through my personal belongings that he was storing in a warehouse he was renting, They took over half of the belongings,while he had his foreman living in the warehouse. So my girlfriend & I plus 4 dogs are living in a storage building. The money would be used to raise the house and repair the inside the house or replace the house. Need the funds as soon as possible because we been living in the storage building since Nov. 12th,2016. Living in a twelve by fifteen ft. is no fun ,no running water,heat, or bathroom. We would be very,very thankful. I'm a 58 yr. old Vietnam veteran,was in the service for 6 yrs. I came home to become a truck driver- driving a 18 wheeler until I had a trucking accident which caused me to have seizures.I being having the seizures for 13 yrs.Then I found out that I'm a diabetic but the good side of things is that my girlfriend of 13 yrs. takes real good care of me.Her name is Betty and she is 61 yrs. young but she has her own health problems.She fell back in 1986 & stripped all the ligaments around her spinal cord(top to bottom).So now she has arthritis setting in her back & all of her joints. It hurts her to walk ,she has back spasms all the time but she pushes herself anyway.So you see,we really need help in anyway we can get it.For every day that goes by we are no closer of getting back into the house. We have tried everything but nothing happens.So please help us get back into our home.Living in a shed is no fun. Today it has been a full year since we been out of the house.Every time we see a new contractor, they tell us that the house is at the point of non-repair,that it needs to be tore down & build a new house. Our hopes are not looking very good at this point.We could use all the help we can get.Thank- You! That company is shameful. I'm so sorry that you had to experience this. After the flooding in Columbia, SC, I had God's blessing to help me clean out the house I was renting of all my flooded possessions, salvage what I could, and move into an apartment. It is all I can do to help pass His blessings. I realize this is just a drop in the bucket, Sam. Our thoughts and prayers are with you that things work out. Sam got a really raw deal from his contractor and insurance company. Hopefully this will help, as small as it is.